Located at the heart of the Luberon Regional Natural Park, between Avignon and Aix en Provence, Château la Canorgue is a family-owned estate. Thanks to the hard work and dedication of the successive generations it has remained in the family for more than 200 years. In the 1970s, Jean-Pierre Margan, a pioneer in organic farming started tending to the vineyard located on an exceptional terroir and began producing high quality wines of character. He has passed on his passion and experience to his daughter, Nathalie, who now represents the 5th generation of winegrowers ! 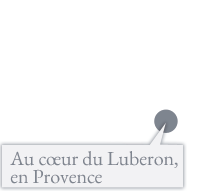 Château la Canorgue wines are regular winners of the highest awards and make it a reference in the Luberon region !